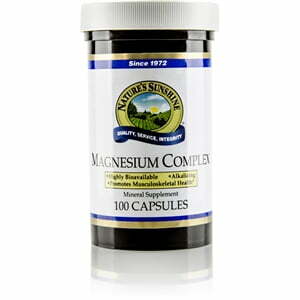 Nature’s Sunshine Magnesium Complex supports the brain, heart, and kidneys with this essential mineral. Magnesium Complex contains two forms of Magnesium–citrate and malate–for optimum effectiveness. 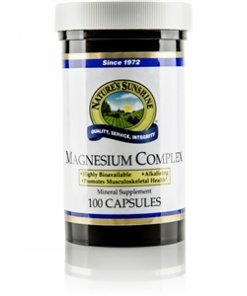 Each capsule of Magnesium Complex contains 100 mg magnesium. Instructions: Take two capsules twice daily with a meal. Magnesium stearate (vegetable), cellulose (plant fiber), silicon dioxide (powdered silica), gelatin, and water.